The second part of Hands-On Police Work: Forensics School promises to educate aspiring forensics students and true crime buffs. It involves following the students at one of Britain's renowned universities as they practice learning how a murderer hides his victims. They also collect fingerprints and analyze various simulated crime scenes. Crime Scene Skills � Forensic students perform training in a crime scene house that is designed to teach them observation skills, crime scene photography, how to discover evidence, and how to preserve the crime scene. 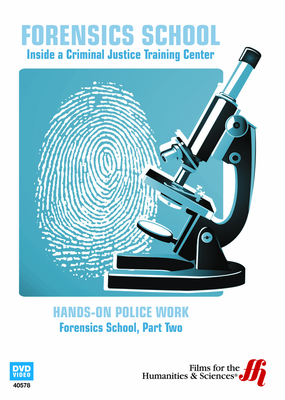 Forensic Science: Human Remains Recovery: - Forensics students learn how to dig graves and get an understanding of the different challenges that criminals face when they are trying to dispose of a human body. Students work in different weather conditions. Crime Scene Photograph � Photographing a crime scene does not require creativity. It is the main method of recording the details of a crime scene before anything is changed or moved. Forensic Science: Gravedigging � Students learn that trying to dispose a body in a basic grave is actually difficult. They take turns digging a grave and run into issues. The decomposition of body tissues into salts, liquids and gasses is called putrification. Rules of Crime Scene Photography and Burial Sites � Students take photographs of blood splatter and fingerprints. Every photograph have labels and have something in the photo for scale. Students learn how to find clues and dig graves.